What Is an Emergency Payday Loan? Emergency loans come in a variety of forms including emergency payday loans, credit card cash advances, bank loans, some insurance loans, or other short-term, unsecured loans like auto title loans. However, many people can't qualify for a bank loan and can't pull enough cash from their credit card if they have one. And, most states do not allow auto title loans. Everyone faces emergency situations like sudden car repairs loans, unexpected medical bills, and huge phone and electricity bills, which may require immediate cash but you do not have money in your bank account to meet these expenses. An emergency payday loan can be a lifesaver. Emergency payday loans can help you get cash immediately and cover you till your next payday. They can provide quick cash to pay off your bills and help you handle your financial emergencies. If you need money on a short-term basis, an emergency payday loan may be an ideal solution. How Can an Emergency Payday Loan Save the Day? Millions of people can't qualify for a traditional bank loan and don’t have enough cash in their credit card, if they have one, to cover an emergency need. If you take out money on your credit card, you usually have to pay it back over time, and the credit card company will charge a 'cash advance fee' plus interest based on your credit card agreement. All of this credit card interest and fees will often be more than the cost of an emergency loan. That's where an emergency payday loan comes into play! You can apply for and get the money fast, after all, it is an emergency, and you need to act fast. We're not in a recession right now, but many people still face emergency situations. No one is going to reach out or come to your rescue, so you have to take action. Do what you have to and solve the problems in the best way you can. Getting an emergency payday loan is one of the ways to do this. Where Can I Get an Emergency Payday Loan? There are really only 2 places to get emergency payday loans: a storefront and online. A storefront poses a number of problems including you have to drive there and go store to store to shop the rates and you waste your time and gas money doing so. The best choice is online. It only takes minutes to complete your request and even faster to get your answer. Referral sites like FaaastCash.com refer your request to many lenders, and that increases your odds of approval; much better than driving around. And, you can do it from your smartphone or laptop or pad, securely, quickly, and easily. Will Applying for an Emergency Payday Loan Affect My Credit? This is a tough question to answer. Some lenders do check your credit but most use databases to review your general profile and ability to pay back any loan that is offered. They do this online in milliseconds per loan request. Where you can really have a problem is if you do not pay your loan back as originally agreed. 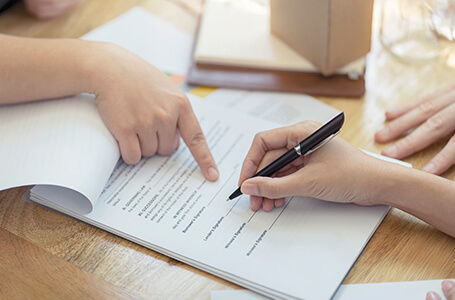 Then, if you do not work with the lender to create a payment plan, they will likely turn you over to a collection agency, and this will almost certainly be reported to the credit bureaus. The lesson here is - do not accept a loan offer unless you are certain you can pay it back per your loan agreement. What Is the Maximum Amount I Can Borrow with an Emergency Payday Loan? The amount you can borrow varies by state, so you should check your state laws. However, most lenders stay up-to-date on these laws and can tell you the max amount you can borrow. This number varies from $100 to $1,000 loan amount. There are states that do not allow payday loans and your request could be rejected if you live in one of them. What Are the Minimum Requirements When Applying for an Emergency Payday Loan? How to Request an Emergency Payday Loan with Faaastcash? The process is simple, easy, and very secure. Just grab your smartphone (or laptop/pad) and go to FaaastCash.com. Then, click on the ‘Apply Now’ or ‘Start Now’ buttons. Complete the simple 1-page form. Click ‘Submit.’ You will get an answer to your request in 1-3 minutes at the most. Do not submit multiple applications as this will automatically disqualify you from consideration. Although most people are accepted, some are not. If you did not qualify, you might consider reapplying in a week or two. If you applied on a weekend or holiday, you can reapply the following week. Why? Because there are fewer lenders working on weekends and holidays, so your odds of approval are much higher on weekdays.